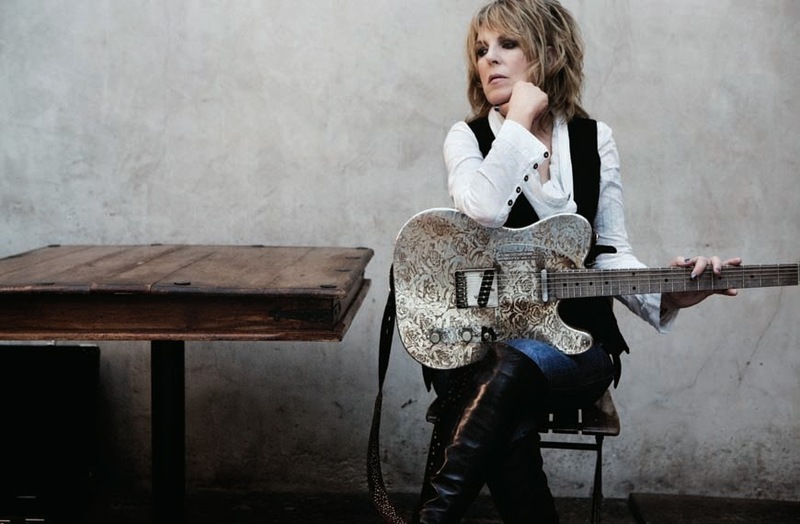 Lucinda Williams can be a prolific songwriter, but she is notoriously slow at putting her albums together. She's a perfectionist, who likes to control every aspect of the recording. That makes for a long gap between releases - an average of three years across her career as a recording artist. But what we fans lack in the quantity of her output is more than made up for by the consistent quality of each release. 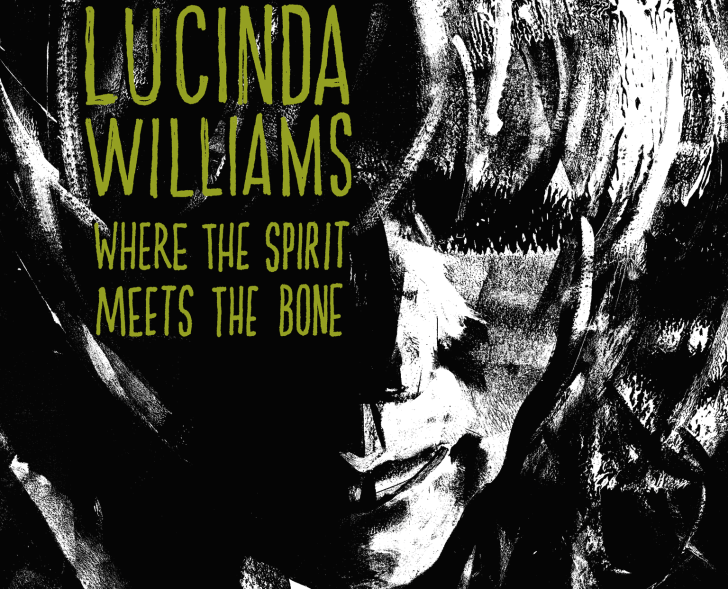 Down Where the Spirit Meets the Bone was issued on September 30th., 2014. It is Williams' 11th. studio album - but the first release on her own label, Highway 20 Records. It proves to be an embarrassment of riches - a double-album featuring ten tracks on both discs; it clocks in at 103 minutes. Williams has built up a solid core of fans, thanks both to her regular tours and the excellence of her recordings. The new album was received with great anticipation - 20,000 copies were sold in its first week of release. 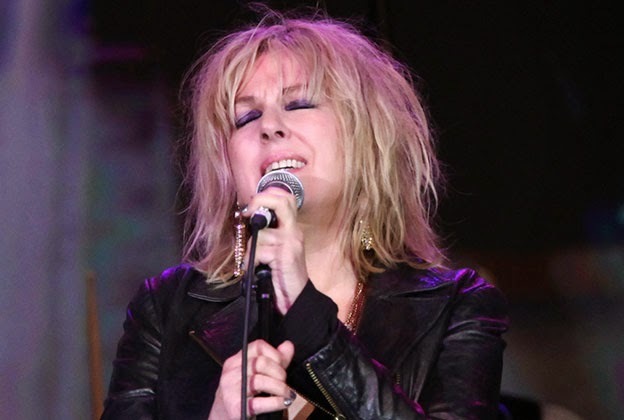 Lucinda Williams is from Lake Charles, Louisiana. 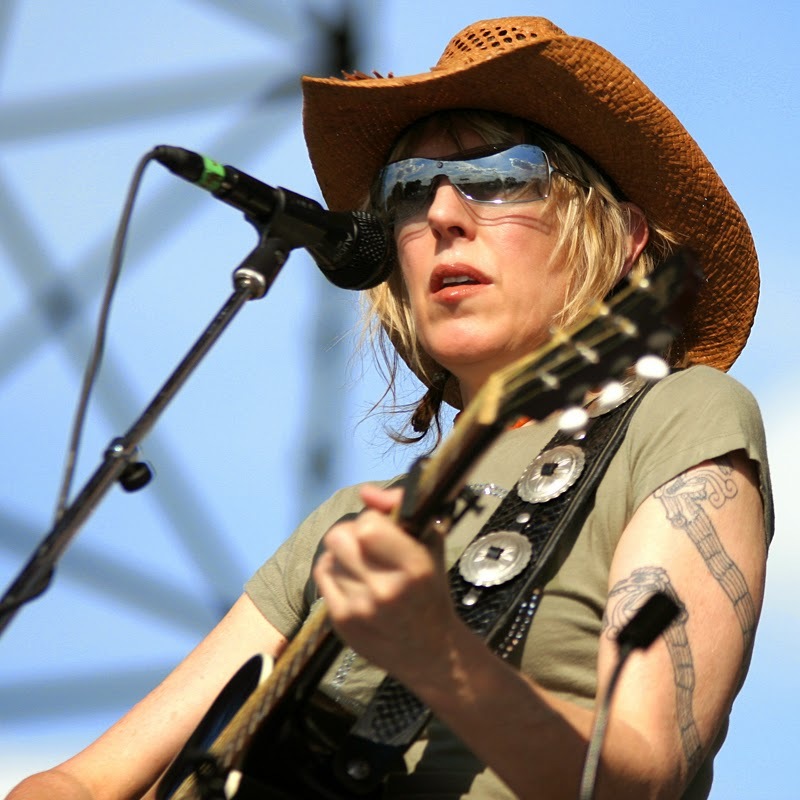 Her music shows many influences: traditional country, folk-rock, blues, and roots rock; but she is most often tagged as an "alt-country" performer (as in alternative country), or a purveyor of "heartland rock". 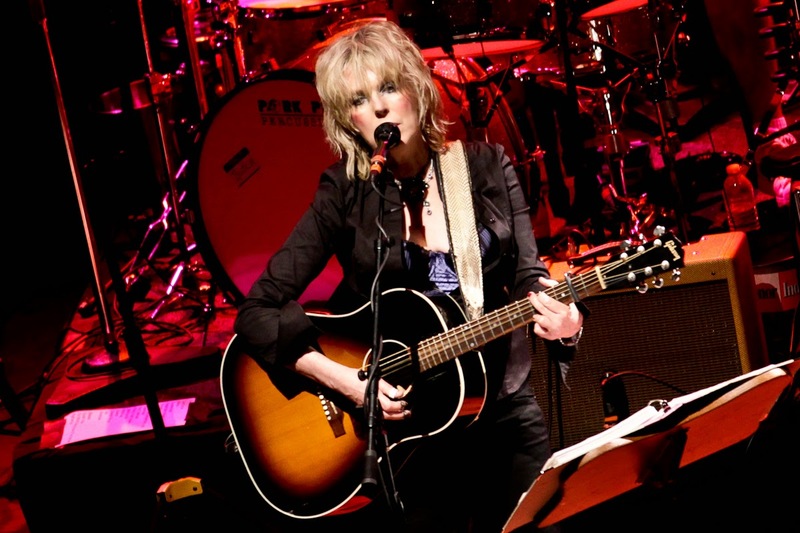 The straight-ahead, rhythm-and-blues-based rock 'n' roll of her last few albums continues on this new recording. It gives her albums wide appeal, and helps to dress up her often relentlessly depressing lyrics in an upbeat musical package. The perennially-embittered tone of William's songs has tapered off somewhat with her marriage to music-business executive Tom Overby. They were engaged in 2006. The following year he became her manager. And then they married in 2008. Overby co-produced her album Little Honey that same year. 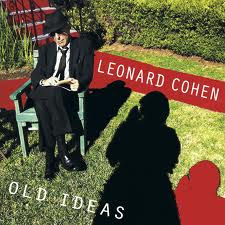 And he's back as co-producer on the new one - sharing production duties with Lucinda Williams and Greg Leisz. With this stability in her personal life, her default position - one might say - has slowly shifted from that of the abused loner, to that of the rather contented marriage-partner. But that's not to say that there is still not plenty of room for despairing he-done-me-wrong songs! All of the songs on Down Where the Spirit Meets the Bone were written by Williams, except for the first and last tracks. The final song on the album is an extended treatment of JJ Cale's laid-back ballad "Magnolia", which featured on his wonderful debut album Naturally (1972). JJ Cale died fifteen months ago; this track serves as a lovely tribute. 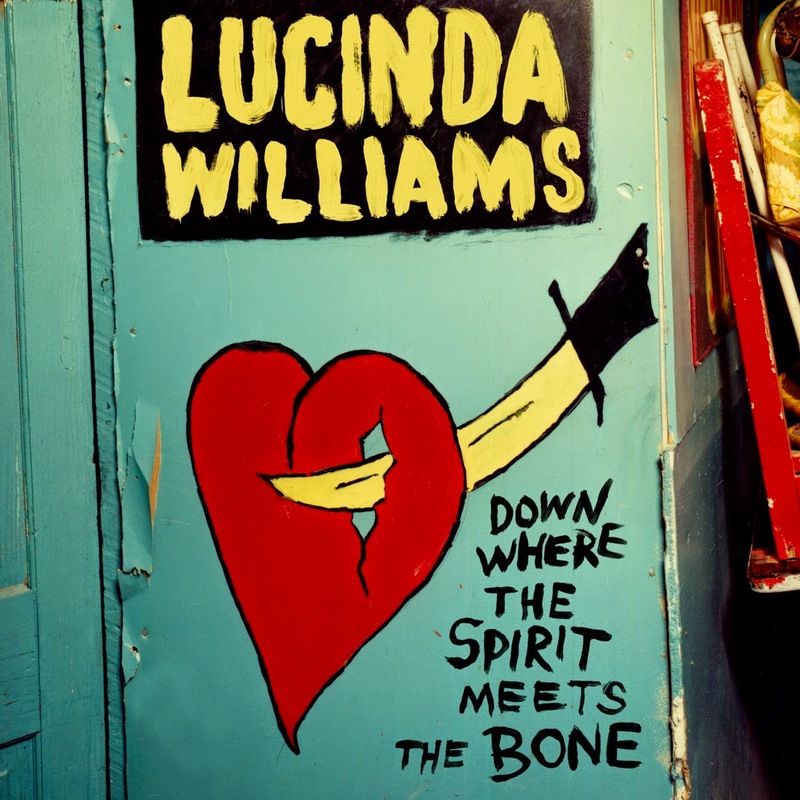 The opening track, "Compassion" - which includes the line that gives the album its title - is based on a piece of writing by the poet Miller Williams, Lucinda's father. She has given the words a tune, and added a few words of her own. "Have compassion for every one you meet," the song says, "even if they don't want it." What might seem like conceit, or bad manners, or cynicism "is always a sign of things no ears have heard ... and things no eyes have seen". Down there, where the spirit meets the bone." This slow, lugubrious opener features an unadorned but affecting vocal by Lucinda, accompanying herself on acoustic guitar. It is different to everything I've ever heard her do, and completely unrepresentative of the rest of the work. It's actually a brilliant start to the album, though, because it sets up the dramatic contrast that comes with the segue into the next track, "Protection": in the centre of the mix we first hear an electric-guitar lick, then a bass note; these are followed by electric-guitar licks from two other guitarists (Stuart Mathis and jazz/rock maestro Bill Frisell) - one in the right channel, the other in the left. And then the drums kick in. And off we go, with the three guitar parts playing in dialogue (trialogue?) with each other. I love this sort of rock music with two or more lead guitar parts (think Keith Richards and Brian Jones, or Neil Young and Danny Whitten, or Neil and Stephen Stills). Two or three accomplished guitarists playing off of each other over a rockin' groove is a real treat to hear. And that's what we get throughout this album. There are, in fact, seven guitarists at work here: co-producer Greg Leisz plays on nearly every track; Stuart Mathis and Val McCallum feature on about half-a-dozen; Jonathan Wilson and Doug Pettibone appear on a couple; and veterans Tony Joe White and Bill Frisell make guest appearances on a few tracks. The rhythm section is Pete Thomas (drums) and Davey Farragher (bass) - both members of Elvis Costello's backing band The Impostors - and Ian McLagan on keyboards (former member of The Small Faces and The Faces). It's a wonderful group of seasoned veterans, and they deliver a real groove - whether it's country-rock, blues, rhythm and blues, or gritty-sounding roots rock. It all sounds great. Yeah, It'll be a cold, cold day in hell." And then mess me up like that." Each time I look at the world." Some of the hurtin' songs strike me as more formulaic and less autobiographical. The country ballad "It's Gonna Rain", which ends the first disc, is a typical example of pathetic fallacy - I'm unhappy, so it's going to rain. Bob Dylan's son Jakob features on this track - providing harmony vocals. Without the pain, the pain of loss ..."
And you gotta stand right by me." 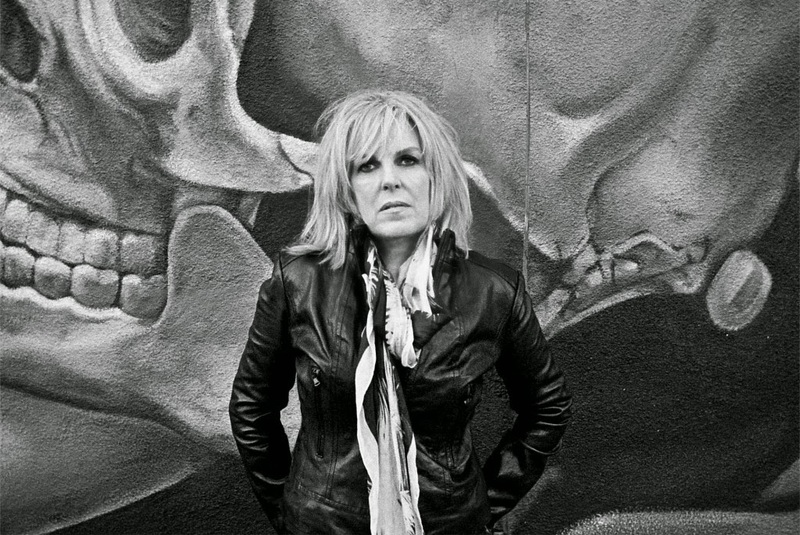 But Lucinda Williams also brings a moral imperative to her work - when she looks outward, and shifts her focus to social or political concerns. She sings about righteousness, the struggle between good and evil, and the redeeming effects of love and compassion. 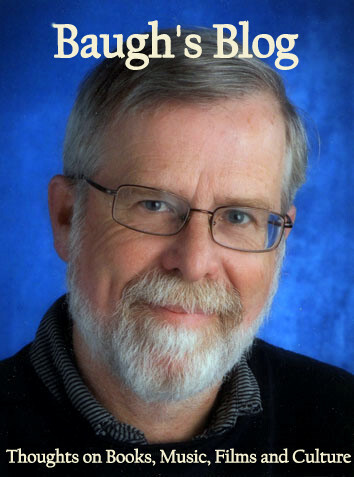 It often has the tone of a southern Baptist - because of that southern, Louisiana drawl of hers. In "Protection", for example, she calls for help to protect her from the enemy of love, of righteousness, of good, of kindness, of love, of soul, and - even! - of good ol' rock 'n' roll. That ominous enemy is conjured up again in the opening track of Disc Two, "Something Wicked This Way Comes" - "No love has he / He will show you no mercy." In the song "Foolishness" she rebukes those who would bring her down - the foolish, the liars, the promulgators of pie-in-the-sky, and the fear-mongers. The world can move, and you can pay your dues, she points out in another song: everything will change - "everything but the truth." But there are some more objective observations about life and politics. "Walk On" is a paean full of encouragement to a female rock 'n' roller - the "lead singer in the band". "I know you're fighting an uphill battle," she sings in this anthemic-like song, "but you'll win with a little struggle". Sounds like it's a work of self-reflection. In "East Side of Town", Williams depicts a wealthy, hypocritical do-gooder straying into her neighbourhood - someone who has no idea what they are talking about, and is really just waiting "to get the hell out". And "West Memphis" - one of the highlights of the album - tells the story of the "West Memphis Three" (although it narrates the situation from the perspective of one of them), convicted for the murder of three little boys. Many people believe the three were framed by a corrupt system. That is Williams's view - the refrain of her song claims "that's the way they do things in West Memphis." The track is a haunting slow groove - featuring harmonica breaks and electric guitar from guest Tony Joe White. With 20 tracks spanning 103 minutes, Down Where the Spirit Meets the Bone covers a lot of territory, and it develops a variety of core themes. But it's hard to point at any real filler in this double-album. It's a tight, unified piece of work - full of highly personal songs, that are put across delightfully by a crack band playing live in the studio with a gritty, rockin' groove. This may not be Lucinda Williams's very best album, but it's a highly satisfying collection of songs presented with the sort of electric-guitar-dominated sound that I particularly love. If you chart the progress of Williams's career - she's now 61 yrs. old - it's fair to say that she has been a late-bloomer. She didn't really hit her peak until her mid-40s. Since then, she has produced a series of consistently excellent albums. Down Where the Spirit Meets the Bone is the latest installment. Check it out; you won't be disappointed.